Monarch Air Group provides private air charter in Argentina. Our clients benefit from top-notch service, unrelenting dedication to safety, wide selection of aircraft, and years of experience in chartering private jets. To obtain a free quote, please use our online quoting tool provided below, or call toll free 1-877-281-3051. Monarch Air Group provides private jet charter flights in and out of Argentina. Argentina is a republic that occupies much of the southern part of South America. To the west and south it is bordered by Chile, to the north by Bolivia and Paraguay, and to the northeast by Brazil and Uruguay. The economy of the country is mainly based on motor vehicles and auto parts, electronics, food processing and beverages, refinery products, biodiesel, steel and aluminum, chemicals and pharmaceuticals, farm machinery, textiles, tobacco products and home appliances. Argentina is the fourth most visited in the Americas and the most visited country in South America. The most popular tourist attractions in Argentina are Iguazu Falls, Perito Moreno Glacier, Monte Fitz Roy, Bariloche, La Boca, Beagle Channel, Valdes Peninsula, Mendoza Wine Regions, Ushuaia, Ibera Wetlands, and much more. 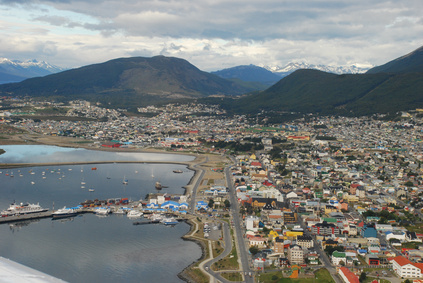 Major airports include Alto Río Senguer Airport, Azul Airport, Comandante Espora Airport, San Carlos de Bariloche Airport, Bolivar Airport, Ministro Pistarini International Airport, and many others.